KPMG can help manufacturing enterprises respond to key issues such as innovation, lean manufacturing, time to market, quality and climate change. KPMG can help manufacturing enterprises respond to key issues in the industry. 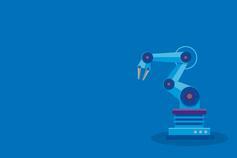 KPMG explains why Industry 4.0 matters and how it will transform the manufacturing sector. What are manufacturers doing to secure value and create competitive advantage with i4.0? What organisations need to know to secure their digital supply chain technologies from cyber attacks. Manufacturing organisations in Australia are confronting unprecedented challenges in a turbulent and uncertain business environment. KPMG works with many of these organisations, including entities covering the paper and packaging, engineering, building materials, steel and fabricated metal products and the machinery and equipment sectors. Key issues for the modern manufacturer include innovation, lean manufacturing, time to market, quality and climate change. Raising debt and equity has become a major concern for many manufacturers following the 2008 financial crisis. KPMG's Industrial Manufacturing practice assists clients respond to these and other pressing business issues. Cameron works with senior executives across industrial markets businesses. Prediction for the industrial deal market in 2018. CEOs of manufacturing companies around the world offer their views in a survey of digital transformation trends and the opportunities of Industry 4.0. What organisations need to know to secure their digital supply chain technologies.